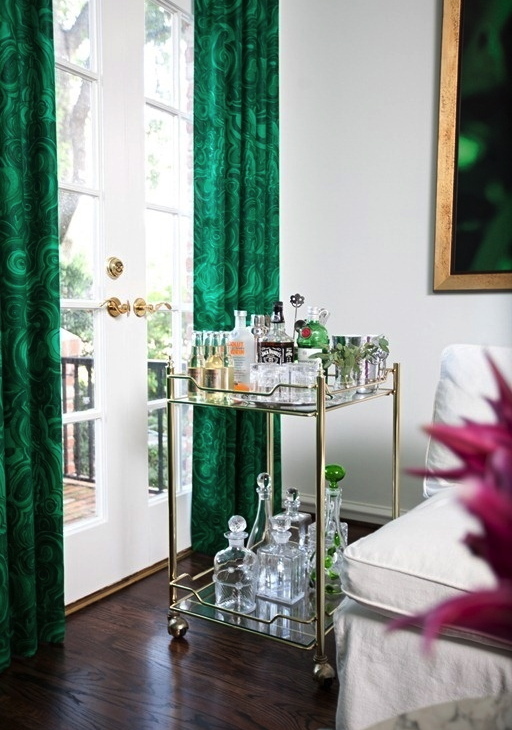 Even if you are not hosting cocktail parties every week, having a chic bar area at home is an essential decor element. 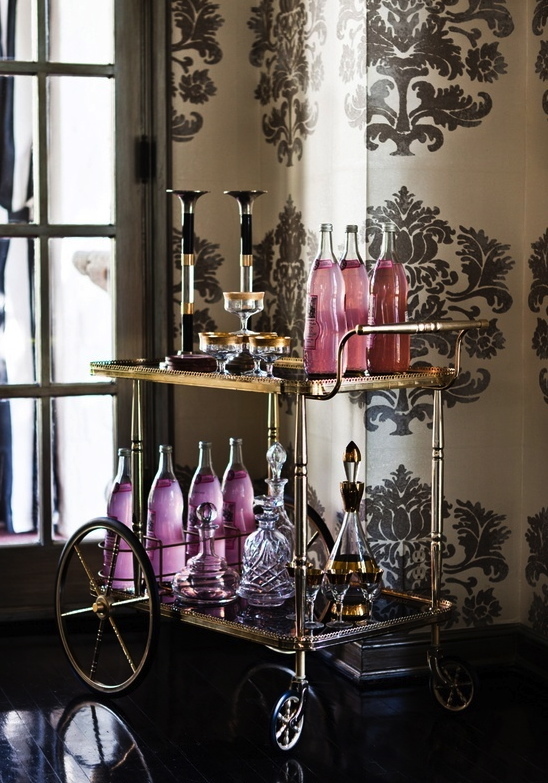 Thanks to Mad Men and The Great Gatsby bar carts are making a big comeback nowadays. I couldn't be more thrilled about it! 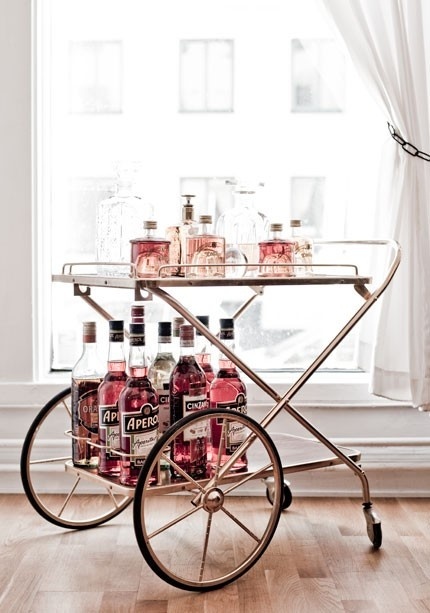 Seriously, what is more, glamorous than a bar cart filled with a few of your favorite liquors (champagne of course! ), beautiful glassware, an ice bucket, pretty napkins, a bowl of citrus as well as a small bouquet of your favorite flowers (peonies or maybe ranunculus)? 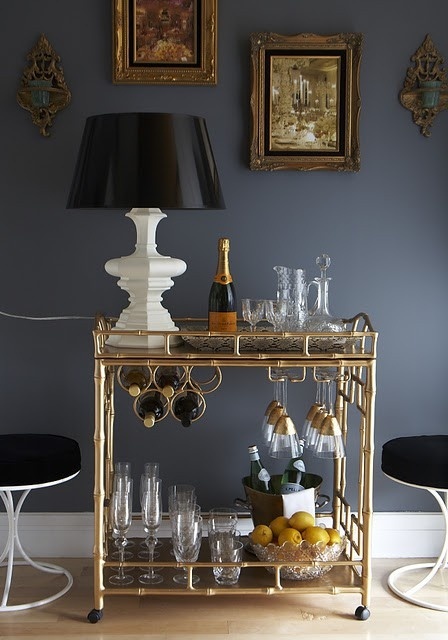 The best thing about having a bar cart at home is that it makes entertaining a breeze since you can easily move it next to your guests. Not only is it convenient when friends pop out, but it's also a great conversation piece. 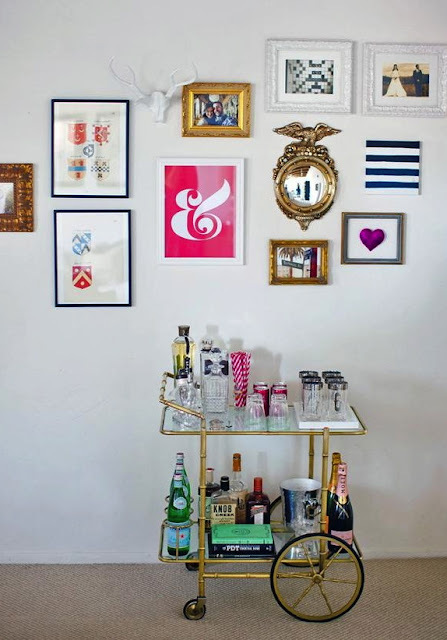 You can also style it with interesting coffee table books, whimsical paintings, fancy mirrors and unique objects from recent or past trips to express your unique personality. It will give your guests plenty to talk about! To give you some inspiration, I thought I'd share with you some sophisticated gold bar carts that have caught my attention lately. Fancy a drink?